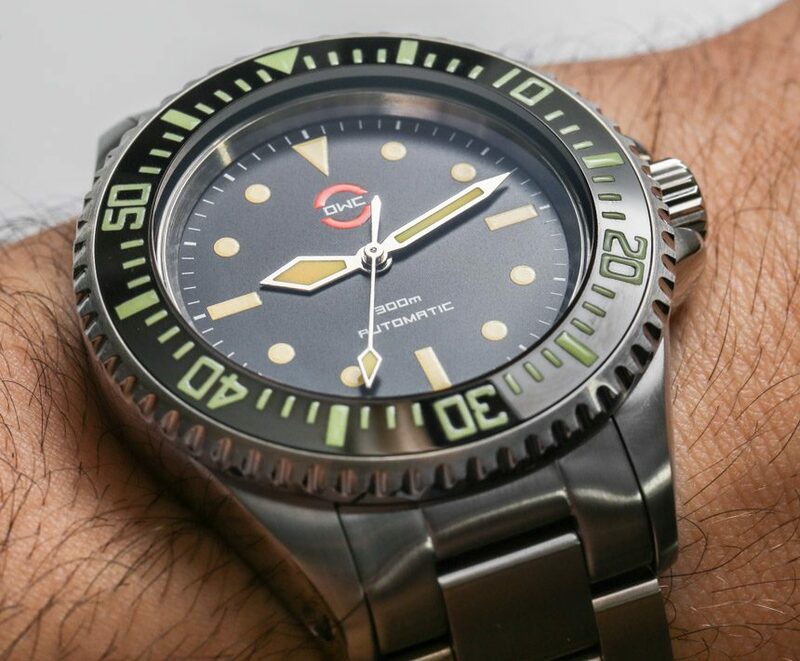 It brings me great pleasure to review the OWC MilSub MS-5517 watch – especially after I’ve been following the trials and tribulations of brand creator Dan Fock for several years. Hailing from Australia, Mr. Fock’s regular newsletters would describe in intense detail everything that was going on in the development of his watches, as well as the setbacks in his personal life. The entertaining series includes frustrating accounts of dealing with Asian parts suppliers, as well as sickness in the family, natural disasters, and financial turmoil. One such tale involved a dispute with a larger company about the name “Orange Watch Comapny” that resulted in Fock having to permanently change the name of the brand to just “OWC.” While this MilSub MS-5517 isn’t the first OWC watch, nor it is the first OWC watch we’ve discussed on aBlogtoWatch, it is the first one I personally have been able to experience – and I have to say that, for the money, it ain’t half bad. I was pretty sure that Dan Fock was a detail dilettante, but it wasn’t until I received the OWC MilSub MS-5517 that I was quite assured of it. Let’s be clear that the OWC MilSub MS-5517 isn’t a perfect watch, but it has some amazing details that only could have come from Dan’s perseverance and sheer struggle with his suppliers, who no doubt needed a lot of pushing to get certain things right. It is also important to mention that most OWC watches are done in the style of “homage timepieces,” meaning that they are directly inspired by other watches. Often, those watches are vintage sport or diver watches. In this case, the OWC MilSub MS-5517 is directly inspired by the Rolex 5517 Military Submariner (“MilSub”), but you more-or-less only see that in the dial. 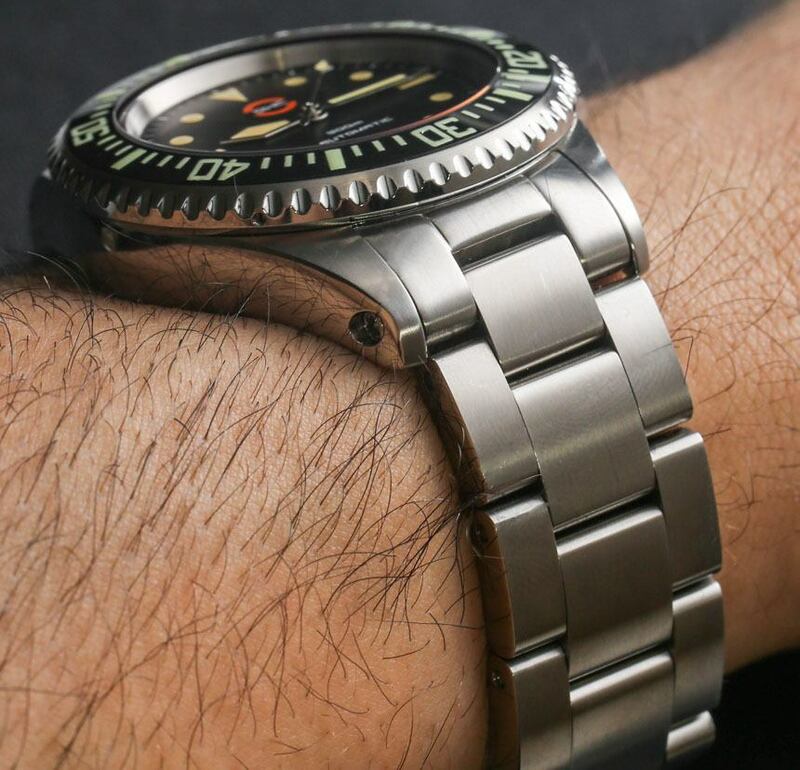 The Rolex Submariner 5517 is perhaps exclusively remarkable for its use of “sword” style hands versus other hands more typical to Rolex Submariner watches. Those hands have been faithfully reproduced for the OWC MilSub MS-5517 watch, and Dan has even gone so far as to replicate the look of the aged lume. While the dial of the OWC MilSub MS-5517 is on the flatter side, so was the original Rolex. Nevertheless, the proportions are pretty good, and legibility is great. Part of the OWC character is to use a modern style font, which you’ll see on the dial text, as well as on the rear of the watch. I further like the fact that there is no date, which adds a lot to the elegance of the dial. 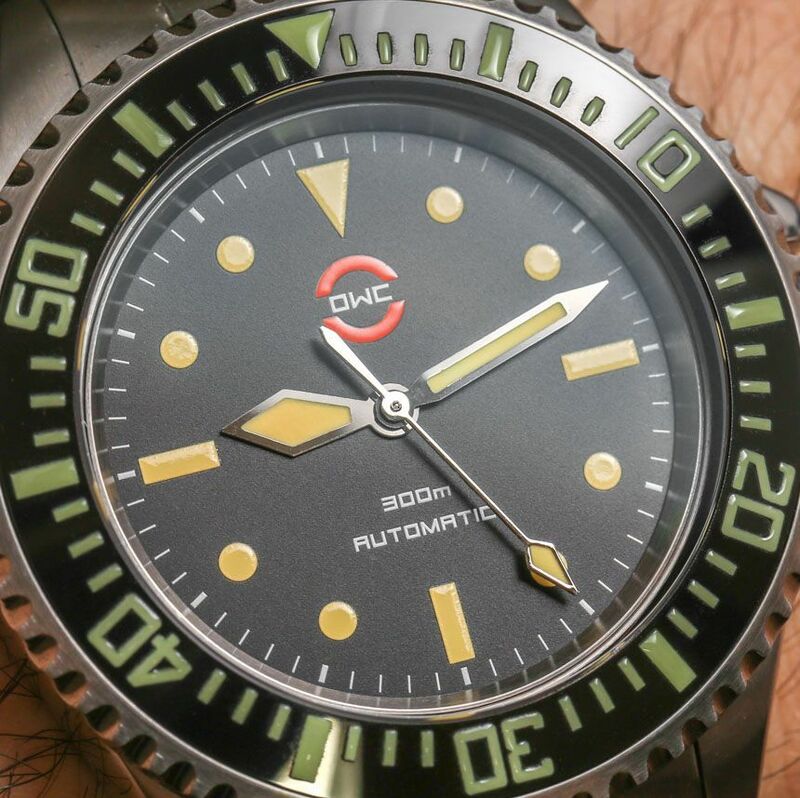 Perhaps my biggest complaint about the OWC MilSub MS-5517 watch is that the color of the markers on the bezel simply doesn’t match the color of the lume on the dial. Actually, there is a lot of difference between the dial and the bezel. I think the watch would be a no-brainer buy for many people if the colors between the dial and bezel were more harmonious – and in the future, they very well might be, as small brands have the luxury of being flexible. The dial, for instance, is matte black with cream colored hour markers while the bezel is in black ceramic with painted on green SuperLumiNova. 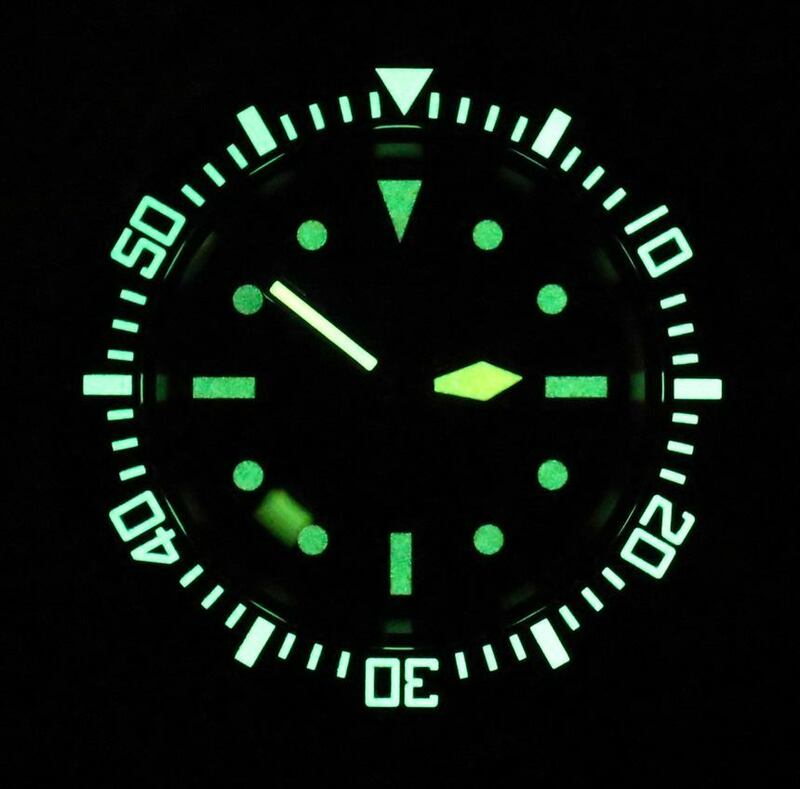 In the luminant shot, you can see that the lume on the dial isn’t even as good as the bezel lume (probably because of its non-standard color). Having said that, the lume for the OWC MilSub MS-5517 is still pretty good, and having a fully lumed bezel is great. While the bezel is ceramic, the luminant is painted on it. It feels very good to the touch, but it isn’t clear how well the luminant will put up with both age and abuse. Turning the bezel offers 60 very solid clicks – and is the clear product of a lot of meticulous effort. I rather love the thick AR-coated sapphire crystal over the dial. It is flat and results in very little glare making legibility very good. I do hate crystal glare, and can say that a highlight of the OWC MilSub MS-5517 is how well the anti-reflective coating has been done. The resulting look is an “invisible crystal,” which is exactly what I personally look for in sport watches. So while the dial is both attractive and legible, I would have personally asked for a bit more “color and finishing harmony” between dial and bezel. On the wrist, the OWC MilSub MS-5517 is remarkably comfortable despite its heft. The solid 316L steel case and bracelet aren’t at all light. Even though the case is just 40mm wide, it wears a bit large given the case thickness and the size of the bracelet. With 300 meters of water resistance (OWC says that each watch is individually tested), the steel case very solid. 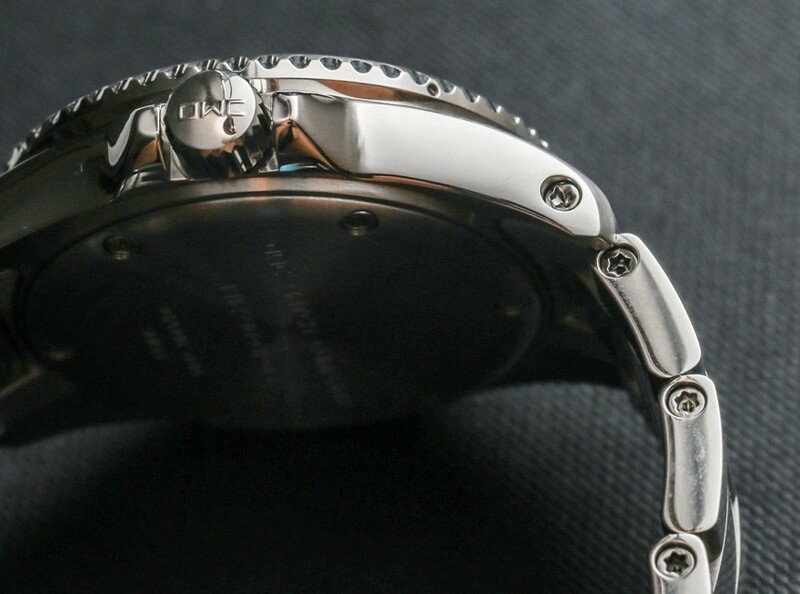 It even has a unique construction with a caseback that is secured by six torx screws, versus a more traditional screw-down caseback that you find on most diving watches. The caseback is rather flat which helps with comfort a lot. I mentioned the torx screws, which you’ll also find in the bracelet and lugs. These are uncommon in timepieces and give the MilSub a more modern and “tool watch” look, even though you’ll need a non-standard screwdriver to remove them. Use of the screws is nice, but I hope it isn’t because of them that the bracelet is so thick. I want to be clear on the fact that the OWC MilSub MS-5517 is a very comfortable watch, but having said that, from an aesthetic standpoint, I think the bracelet is a bit too large for the case. First of all, even though the case is thick, the bracelet is also very thick. It also doesn’t taper (a look I personally prefer). Non-tapering bracelets aren’t inherently a bad thing, but in many instances, when used with a 40mm wide sport watch case (or smaller), you can get into a situation where the width of the bracelet competes with the width of the case for visual attention. I does look quite cheap though. At $705 it is cheap. 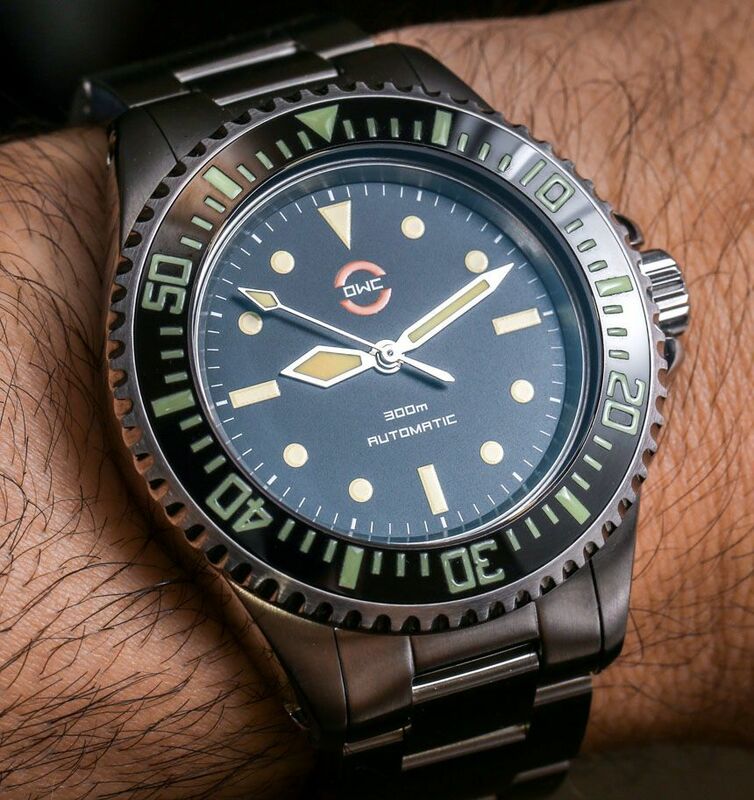 Zzyzx I, personally, think that the reason that “the market is flooded with micro-brand Submariner/Milsub “homages,”” is because that is what the market wants. This style is what sells – so fill the markedt created want. Basic marketing. My observation about this offering, which I also like, is the lume on the bezel. I think it will soon be subjects to scuffing and abuse – which is normal for bezels. (I’m not really fond of the ‘f aux aged look’ , but that’s another topic). This lume, which also doesn’t look very well done, in its raised off the bezel position will become rather unsightly as it gets scratched off with daily use. I do like this piece and fully understand the dedication and perseverance in working with Chinese parts manufacturers. Compliments there. I quite like it, considering what it is a homage of. The use of different screws is I think as much a stylistic choice as anything else, and I think it adds a little bit more interest to the whole thing. The view from the back looks futuristic, like a part from a motorbike, mainly due to those screws. My one concern in the bezel. The lume looks a bit sloppy, frankly. On the one hand it just doesn’t look as refined and neat as it could be, but at the same time I find it somewhat comforting and appealing that this was obviously done by hand. Waikato7 Even cheaper at $450 is a watch that comes with a 2824-2 great looks and excelent quality. It captures the 5517 really well…but it never gets mentioned here. Not a bad looking watch and certainly a good price. 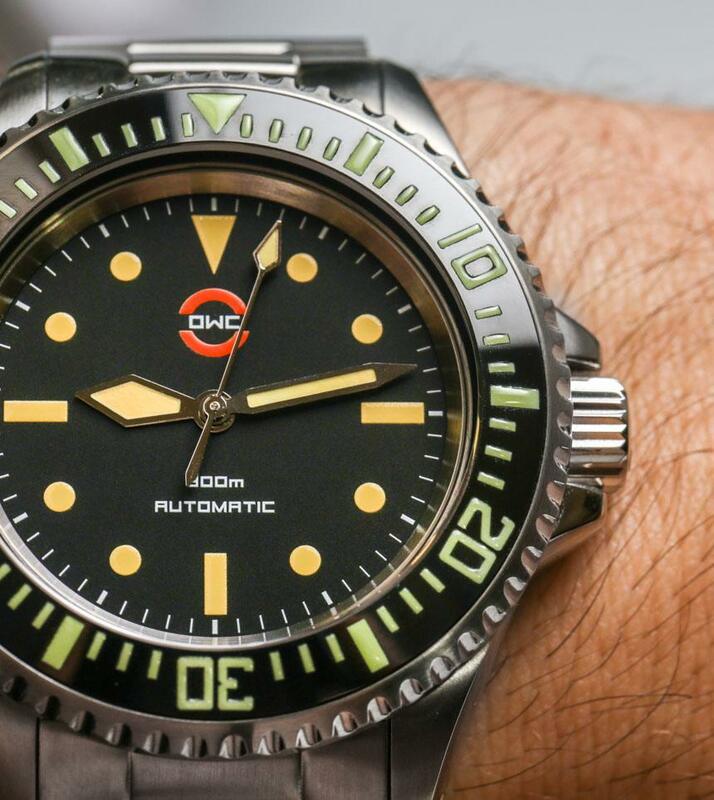 However, the difference in the lume color on the 2 hands would drive me nuts every time I saw it. It seems that if Dan is that much of a stickler for detail, that he would have made sure that the hands were consistent. Funny, the first thing I thought when i looked at the dial was how outdated the font looks. The squared off ‘300m automatic’ looks like it is part of the opening credits to some 1992 thriller about political espionage. A blinking green cursor zaps out Morgan Freeman’s name in this com-pu-tor scribe in order to help set the tone that totally unthinkable technology, like laser pointers, is at the hub of this gripping drama based on tough decisions that must be made in the bowels of the Pentagon while the fate of a team of Navy Seals hangs in the balance in some far off and grimy/backwards/exotic locale, where they were inserted to complete what should have been a simple mission to extract a humble and bumbling Political refugee. But i digress. The watch is not terrible, but won’t be getting my $700 either. The move from aluminum bezel inserts to ceramic was for the sake of durability/scratch resistance, but the lume is so heavy in them that it bubbles over the top of the surface, sure to be plucked out or otherwise ruined by a seemingly harmless ding on the wrist in a doorjamb. The watch is missing a personality. At the very least, see how richly the OWC logo is painted on? Why are the 2 semi circles not in orange lume? Its the little things like that, which wouldn’t cost any more or take any more time, that help to separate you from the endless others trying to ride the Submariner’s coattails of success. Great price. But I do worry about scratching the lume off of the bezel. Styling is a derivative, but I guess that is the point for this piece. Good luck to him. movement and made in Switzerland for less money, wearing it now. dahcd amazing amount of value with Steinhart. I often wonder why this particular brand is not more popular. CHANGSUB I am beyond tired of seeing Sub Homages…I mean…how many of the same watch style can you have your collection? If every watch you own looks like a Sub…why not just save your money up…stop buying all the homages…and just get yourself the real thing??? I have 3 Sub homages in my collection…two of them were gifts, and none of them have black dials and bezels ( a combo I refuse to have on any watch in my collection! 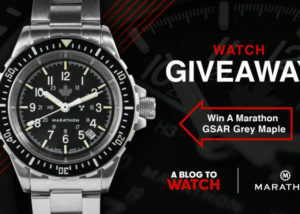 It’s a long story, but there is a reason for my extreme dislike for a watch that looks like the one in the article! )….and this one would never get into my collection. I too would welcome a nice AP Royal Oak Homage….! What’s wrong with different colors? I personally thought the different hues of lume were a decision to make it colorful, and that it worked and looked kinda cool. Would make an excellent beater. ZL I was wondering that too. There are loads of watches that use a variety of lume colours. It’d be the least of my concerns. ZL Different lume colors is good. The issue is that the lume paint color is also different which makes the overall bezel and dial a bit less harmonious. Handsome. Simple. Honest. Unpretentious. No bling or clutter. Legible. My kind of watch. I can identify with Dan’s travails and I wish him the very best in his endeavors but this is not my style especially when I have two that are somewhat similar. But is an honest clean design with some interesting tweaks that I appreciate..
As stated above, the Steinhart OVM has been the best bang for the buck watch that I own. Try buying the real 5517 and see if you’re willing to fork out that amount for it. I love the Steinhart OVM and will be buying that instead. More value for money and looks way better. 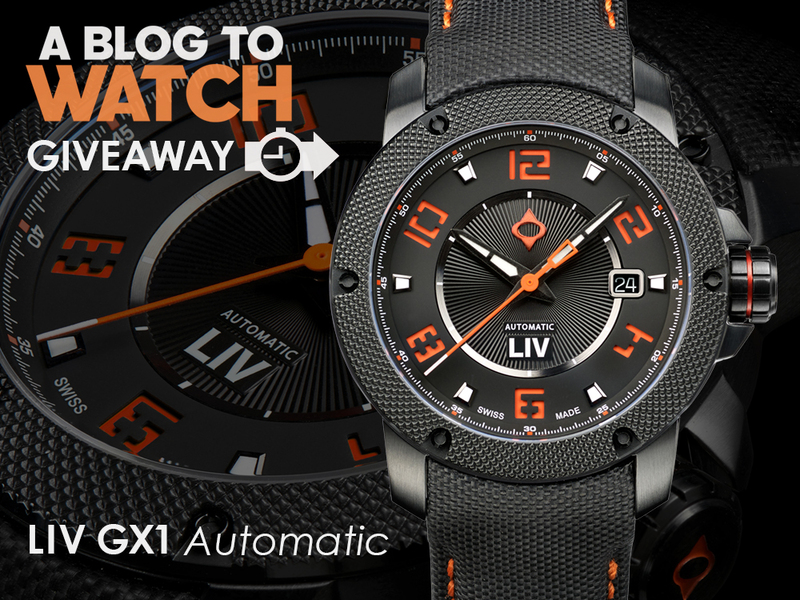 I like this watch… very nice… My biggest suggestion would be to to make a transparent case back, with a custom orange and black rotor. CHANGSUB Any of those polygonal watches have me quite tired really. I see them and have absolute no understanding why such useless design costs so much. I was very excited to read this review. Unfortunately, I’m kind of disappointed in the content of some of the reviews on the article. Mostly because they digress from the actual content of the article. I was excited because I, personally travelled with Dan through the travails of getting this watch to market. I liked the design, the concept, the use of sword hands, and the ability to get a Soprod movement in a watch that had a design that appealed to me. I’ve had my OWC Mil sub now for about 6 or so months and I wear it with a sense of pride because I know that Dan put a lot of effort into creating something that someone like me would be proud to wear. Its one of the most unique Subs I have because of the quirky features and I like those features that are slightly different/unique to it. But mostly I like the fact that its not just another standard ETA movement that already sits in other watches I possess. As for cobbling up enough change to get the real thing. No thanks. The popularity of the real thing has tarnished that desire because of some of the typical “bling” seekers who gravitate towards that brand. In OWC I have found a watch that gave me a desirable movement in a high quality case. Astronuts Waikato7 The problem with the Steinhart is that at 42mm, it’s huge for a Sub homage. stefanv Astronuts Waikato7 Was about to say something about the size but didn’t. 42mm is pushing it, in fact maybe max if the watch is a must have. You guys are a couple years late on this review this watch has been out for years. lillyhammer It has been an evolving product over the years and given that it attempts to be relatively timeless product I don’t see how you can be late on a review. Does that mean a review of a Submariner or Royal Oak is too late since the models are a few decades old?